When it launched in 1989, the 964 represented one of the biggest advances in Porsche history and the carmaker’s engineers estimated that 85% of it differed from its predecessor, the 911 Classic. With its improved aerodynamics, ABS brakes, integrated bumper, 3.6-litre 247bhp engine, redesigned suspension, automatic electric spoiler and air conditioning system that actually worked, it was not hard for drivers to spot where the key changes had been made. At first, the Porsche 964 was only available as the all-wheel drive Carrera 4, but a much lighter rear-wheel drive Carrera 2 arrived in 1990 – and the C2 soon became the biggest seller. Targa and Cabriolet versions of the C2 and C4 followed, along with 3.3 and 3.6 Turbo models and the highly desirable RS and rare Speedster. Porsche 964 values have risen in recent years. All models are great to drive and boast classic styling, which partly explains why demand is growing and values are going up. A C2 or C4 will cost you somewhere between £25,000 and £60,000, but you are likely to need a six-figure budget for a good Turbo or any RS. The good news is that as even the latest 964s are more than 20 years old (production stopped in 1994), any car that is still in working order is likely to be fundamentally sound. However, there are some potentially expensive problems that are known to occur on the 964, so it is a good idea to organise a Pre Purchase Inspection at a Porsche specialist before handing over a large cheque to the seller. Try not to worry about the mileage too much. Yes, almost all buyers would prefer a low mileage 964, but you are likely to need a lot of patience and an extremely healthy bank balance to find one. If you are buying the car to drive and enjoy rather than purely as an investment, why fret about it? Having well over 100,000 miles on the clock is hardly exceptional for a car that is more than 20 years old and, as long as there is plenty of evidence that it has been properly maintained, it shouldn’t be a major concern. Many high-mileage models will have been very well cared for by Porsche enthusiasts and you may even find that they have had major jobs, such as engine rebuilds, done. A full service history is something you should look for when buying any used car, but it is particularly important when purchasing a Porsche of this vintage. A history that demonstrates that the 964 has been serviced and repaired exclusively by OPCs and/or reputable independent Porsche specialists would indicate that it has been well looked after throughout its entire life. Don’t be afraid to ask questions about gaps in the service history, as you will want some kind of reassurance that previous owners didn’t look to cut ownership costs by skipping services or taking the 964 to non-specialist garages. 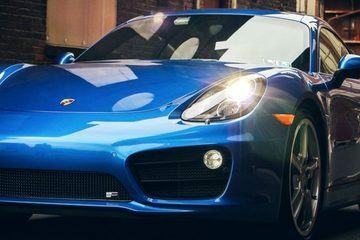 If you have any concerns about the car’s history (or if it is missing completely), arrange for an independent Porsche specialist to undertake a full Pre Purchase Inspection and prepare a condition report before making an offer. We usually recommend that the service book is accompanied by invoices for all work undertaken, as this demonstrates that the right parts and fluids have been used. For a car over 20 years old though, an invoice for a wear and tear job carried out in 1997 is probably of little relevance, as the parts will almost certainly have been replaced again since then. Invoices for work undertaken in the last few years and, in particular, the last service (which will allow you to check whether any advisories have been dealt with) should be sufficient, if the full file isn’t available. Any car of this age can be susceptible to oil leaks, so it is well worth having all the likely problem areas checked before buying to get an idea of whether any crucial or costly repairs are imminent. Two areas need particularly close attention. 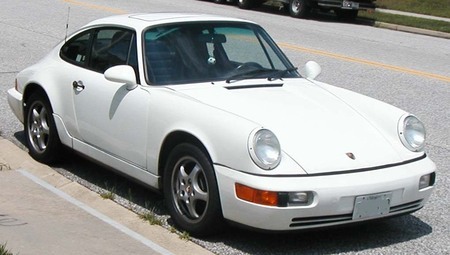 The early Porsche 964s were infamous for oil leaks from around the cylinder base, in part because the original design did not include a cylinder head gasket. In 1991, Porsche redesigned the cylinder head base and added a gasket in an attempt to solve the problem. 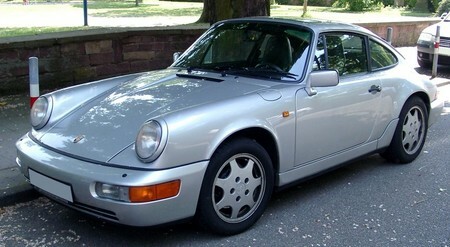 The change was largely successful, but it is not unknown for later 964s to suffer leaks here as well. Another common source of leaks are the pipes between the dry sump oil tank and the engine. Typically the cause is corrosion and the issue can usually be fixed by replacing the pipes. Perhaps the most notorious issue to have afflicted the Porsche 964 is dual mass flywheel (DMF) failure. 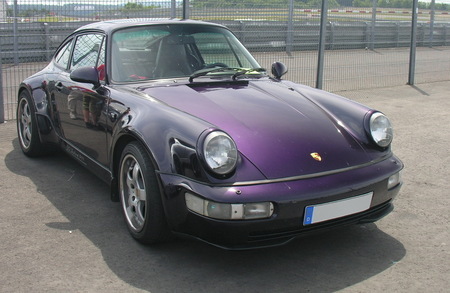 Early 964s were fitted with a Freudenberg DMF, which proved to be highly unreliable, and in 1992 Porsche switched to an LUK-manufactured unit that has lasted well. The telltale sign of DMF failure is heavy vibrations at low revs but, while it is worth checking for, you are unlikely to find a 964 with the problem these days. Most of the problematic Freudenberg units in the early cars will have been replaced by the higher-quality LUK part by now. Carry out a thorough inspection of the bodywork before agreeing to buy a Porsche 964 and not only for signs of accident damage. While it would be an exaggeration to say that corrosion is a major issue with the cars – in fact, some 964s reached their 20th birthdays without even a hint of rust – it is far from unknown. The most common areas to find rust are around the wheel arches, under the lights, around the windscreen and window seals and on the door bottoms. It can usually be treated effectively, but you should make sure the repair costs are reflected in the price. If you are unsure about the extent of a corrosion problem, ask a Porsche specialist to assess it and give you some advice. Look closely for signs of rust around the windscreen seals when buying a Porsche 964. The suspension in the 964 was among the best available when it was launched in 1989 and helped provide great ride quality (for the time, although not so great when compared to modern family cars). A 964 should still be comfortable enough for everyday use, as long as the standard suspension maintenance has been carried out. The most common problem affecting the ride is perished front suspension bushes. Replacing them is a simple and relatively inexpensive repair that has a very noticeable effect. The 964 was the first version of the Porsche 911 to come with ABS as standard and while that improved performance, it can mean that repairs are expensive. It is sensible to get a Porsche expert to inspect a 964’s brakes before you agree to buy – and not only to spot signs of imminent big bills. The brake system varies between the different 964 models and there are a number of issues that can easily be misinterpreted by non-specialists who aren’t familiar with them. To give just one example, a problem with the C4 that appears to require a replacement ABS pump (a four-figure bill) can sometimes be solved by cleaning the accelerometer (a one-hour job). It is also well worth getting the 964 you are considering buying up on a lift for an assessment of the condition of the pads and discs. As wear and tear items they will have to be replaced from time to time, but if they are nearing the end of their life, you will want it to be reflected in the purchase price. While checking for wear there, take a look at the callipers. As the callipers are aluminium but fixed to steel, corrosion is common and you should consider how likely they are to need replacement in the near future. Don’t immediately be put off if a Porsche 964 has had an engine rebuild – it is likely to be a good thing. Many owners noticed a drop off in power and a rise in oil consumption as their 964 headed towards 90,000 miles and a partial engine overhaul was required, complete with new valves and piston rings. Before parting with your cash for a 964 it is well worth asking an expert to inspect the condition of the engine and assess 1) If it hasn’t had a rebuild, will it need one soon? 2) If it has been rebuilt, was the work done to a high standard? As a rebuild costs thousands, it really pays to know this before agreeing a purchase price. 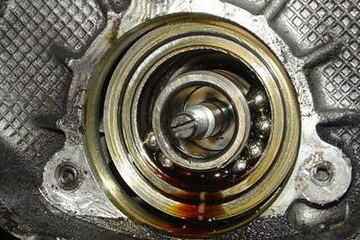 A design fault on the 964 resulted in the rubber distributor belt perishing due to a build up of ozone within the distributor housing; a failure that could cause serious engine damage. A relatively inexpensive vent kit can be retrofitted to prevent the problem and it is worth having this done if the current owner hasn’t already taken the safety first approach. Not so much a technical problem, as a question of personal preference, but some drivers really dislike the Porsche 964 C4’s all-wheel drive system. It does feel very different to those on later 911s and can suffer badly from understeer, so a long-ish test drive is recommended to check you can live with it. The Porsche 964 Carrera 4’s all-wheel drive system isn’t to everyone’s taste. Many Porsche enthusiasts love to modify their 911s in an attempt to maximise the performance, and 964 owners were no exception. Popular work included remapping the ECU for additional horsepower, exhaust upgrades and lowered suspensions. Given the age of the 964, there shouldn’t be any issues with mods preventing an MOT being passed, but extensive upgrades may be an indication that the car has been thrashed on the track. Make sure you obtain full details of the work from the seller, as it may affect how the 964 needs to be maintained and you will probably need to inform insurers about them. Think carefully about whether you can live with the extra power or noise for how you intend to use the car; an exhaust that sounds great while speeding round the track may be less appealing when setting off on the daily commute at 7am. If you need any advice about the modifications, give us a call and we’ll help if we can. 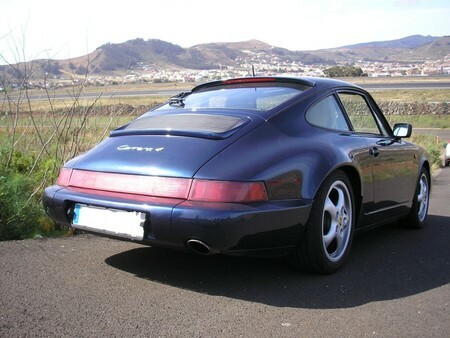 If you are interested in buying a Porsche 964, Revolution Porsche can help you to make sure you pick a good example or, at the very least, ensure you go into the deal with your eyes open about the extent of the work that needs doing. Book the 964 you are considering into our Brighouse workshop for a Pre-Purchase Inspection and our experienced Porsche technicians will undertake a full visual and diagnostic check, which will be used to compile a comprehensive car condition report. The inspection costs £150+VAT, with a borescope inspection also available for a further £99+VAT. Call Revolution Porsche on 01484 717342 or contact us via the website to find out more or to book a car in.